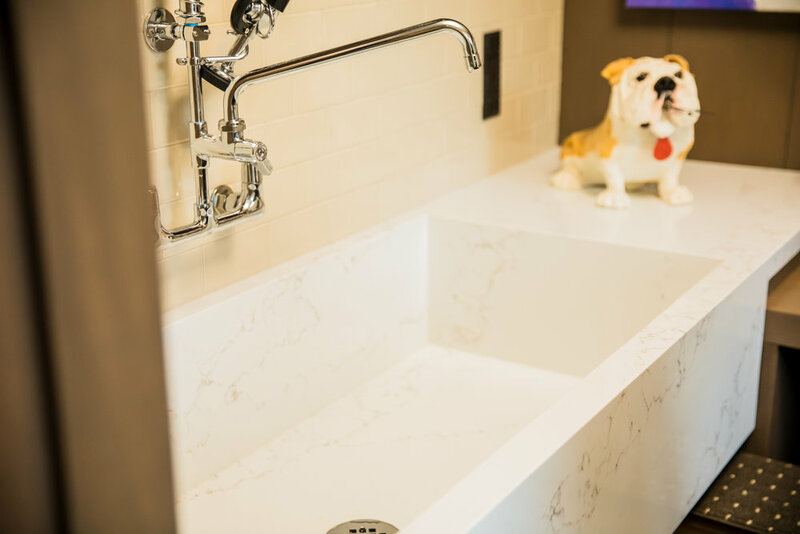 Residential projects featuring hand crafted custom marble and granite counter tops, baths, showers, backsplashes and tiles. 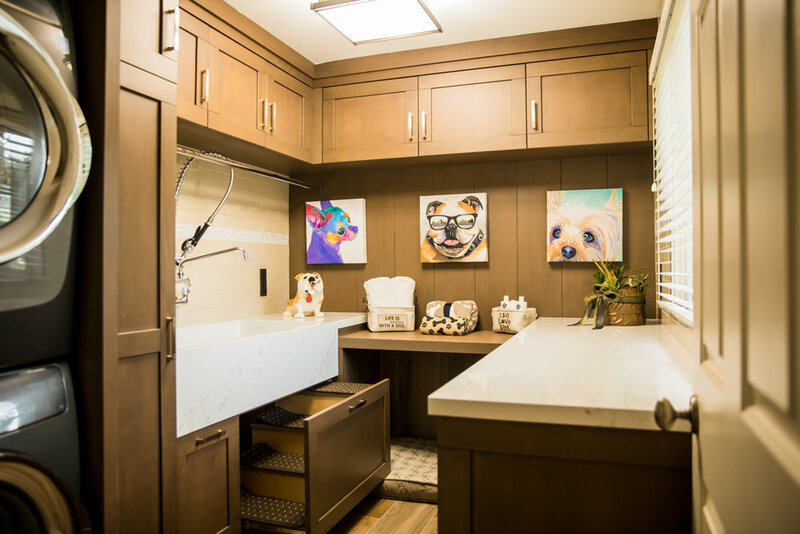 This project features a custom fabricated integrated sink/dog wash with an apron front feature. 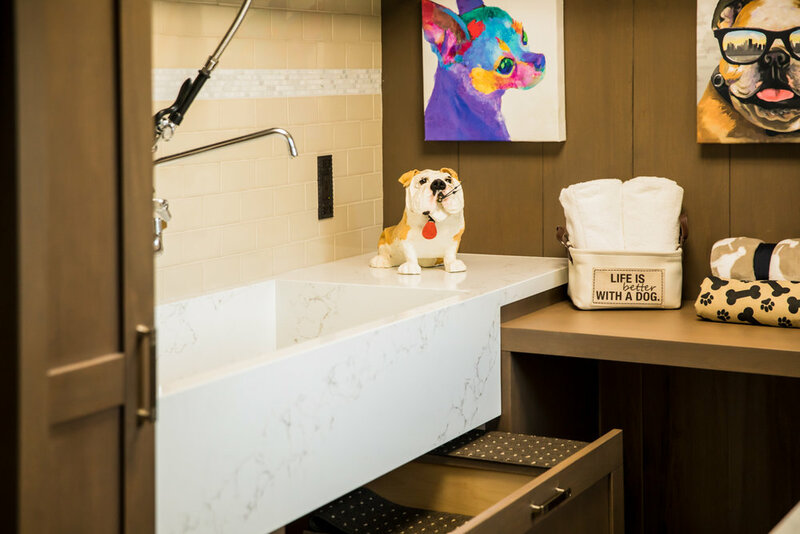 The sink was custom measured after the installation of the cabinetry. All backsplash and floor tile selections were provided from the European Marble & Granite tile showroom. We have designers ready to help bring your vision to life. What aspect of this project are you interested in?